Real Estate Regulatory Bill has been passed by both the houses of the parliament and the critics are of many opinions most of which are positive. But this is true that the bill brought many measures to protect the interests of the common users and the buyers of the real estate sector. The critics say that this will go a long way in enhancing the buyer’s confidence and would elevate the interests of the investors in the market. The bill proposes to create a strong and secured real estate market leading to a much mature and resilient forces for the common consumer in the real estate market. The Real Estate Regulation Act. 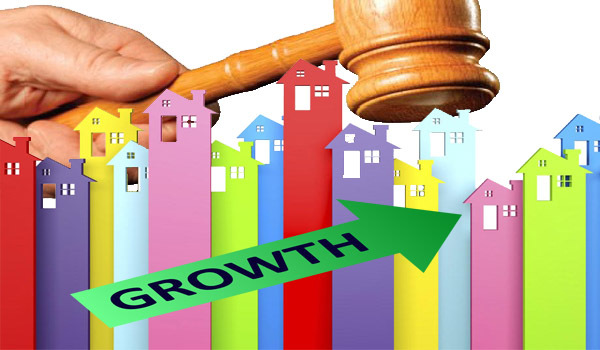 (RERA) as it is commonly called will go a long way also in creation of the state level regulatory authority. This will act as an ombudsmen which was not there previously which will be used for the redressal of the consumer’s complaints and grievances. The RERA basically attempts to act as a real estate regulatory body to keep a vigil on the sector and monitor it. These RERA’s will be established in all the states of India and the Union Territories also to regulate the territorial real estate sector activities and transactions. The bill is equally applicable for both the commercial and the residential sector and the projects thereof. Under the act each and every builder launching a housing project with an area of 500 sq. ft. or more or having more than eight flats in the building will have to register with RERA. The details will be uploaded on the RERA’s website before the builder sets for sales of the flats or the units. The uploaded details will include the number of the apartments or units, types of housing units for sale, the details of the site or the layouts, schedules of payment and the tentative completion dates. The status of the updates on the project will also be uploaded on a quarterly basis. The critics feel that this will supposedly bring more transparency and as well as accountability to the sector and the consumers. The respective RERAs will maintain records on each and every project throughout its stages right from the inception stage to completion of the project. This will also include standardization of the processes adopted which would duly reduce the chances of the anomalies that may arise in the agreements. Added to that, there will be a mechanism that will address and redress disputes and resolve it. The real estate disputes will be redressed by the Appellate Tribunal that will be set up in each state. The buyers will have an easy access to the details and all the information relating to the proposed project will be available and they can be assured that any deviations without their knowledge and approval won’t be taking place. In case there is any such violation the regulator will redress it, if approached. The trend watchers feel that on implementation of the proposals in the bill it will increase the growth of the real estate sector. The buyers’ confidence will be increased to a never before level is what the critics feel. This will motivate the investors more as the delivery, time for completion and other aspects will be better off than before. This will in turn tick the demand for the property. This intervention of an independent regulatory body will surely go a long way in developing a mature and a more resilient real estate market ensuring more transparency in all the transactions of the sector. On the financial front and the aspects of funding as well the banks and the financial institutions will also be more willing to disburse funds because of more regular functioning of the builders and the realty sector.